After Love Don't Die was the first thing I heard from this album, I essentially gave up on The Fray. I adore their piano ballads where Isaac's plaintive wailing vocal goes perfectly with the desperation in the lyrics and it's all just beautiful (How To Save A Life and cable Car especially; You Found Me and even Never Say Never to a much lesser extent), and over the years those have been weaker and less frequent. And when Love Don't Die sounded like a One republic clone, I was not at all interested in hearing the album. Which is a shame, because I did eventually get it. Feeling the need to continue having a complete collection of their albums, and since I'd been given a voucher as a gift, I wasn't actually paying for it, which justified my purchase. And it's not as bad as I'd expected. 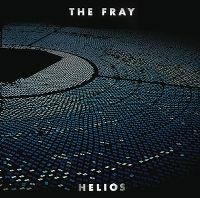 There are only a couple of tracks that don't really fit with what I expect from The Fray, and while they are nowhere near as strong as they were at their peak, they are still quite good and can bring it at times. Break Your Plans and Hold My Hand are the best examples here for what I love and want from The Fray and while those don't come near the peak of this band, they're still great. I still hold no excitement over future releases from them, but I'd like to hope I'll be quicker to give the next one a chance at least and not just judge based on the first song I hear. And there will always be a small glimmer of hope inside me that they'll return one day with another How To Save A Life or Cable Car.